As I stated in last post I thought we were in overall IT bull. I think market is ultimately headed to 2860-80 spx, but recently we hit some signs of resistance. I expect us to pullback to 2688ish before resuming higher. 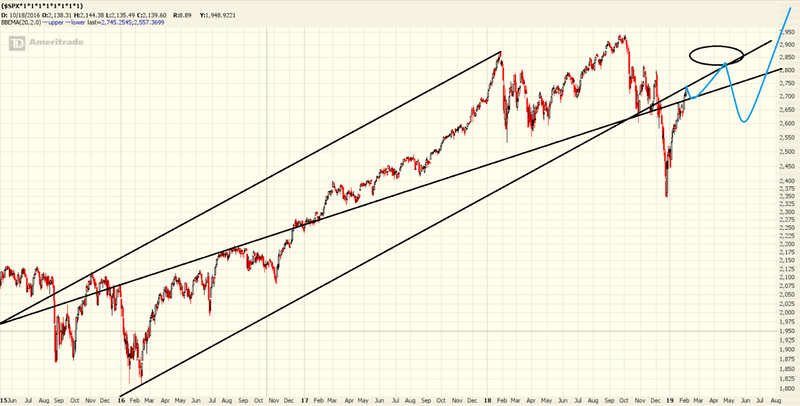 I suspect that we get two legs down shortly, then head higher. A segment of the move, undisturbed by a meaningful counter-move reaction. Hedges can zero out here as well.